Small and medium enterprises are the backbone of Indian economy. The future is full of possibilities for SME’s and it can get more benefits if they make their business something into e-commerce. Impact of e-commerce on SME’s in India offers too many possibilities and also changing their way of interaction in the global market. By making this initiative SME’s can create jobs and reduce the percentage of poverty in our country. The consistent and healthy growth of this sector is very important for our country future. Our India entrepreneurs have started setting up their online business even before the physical setup as they see the bright future for their business ahead. Many SME’s are also shaping their business online and establishing them in the Indian market and using the Internet as a marketing tool. These e-commerce initiatives for SME’s can also offer the facility to showcase their products not only within the country but across the world as well. Future Prospects for SME’s if they make their business Online. How much Investment do SME’s need to make their business online? With an investment of 4000 INR, SME’s can enter into e-commerce industry. Which help them to cut the marketing and distribution cost by 50 to 60 %. Cost effective medium to grow sales by 80 %. Cost effective for business expansion by 32 %. Can help to reach national and international. How the Internet is Beneficial to SME’s? The internet has emerged as the game changer for the businesses all over the world. Which results in growth in the businesses significantly, in general, they make higher profits, great customer reaches not nationally but internationally as well and also improved employment opportunities. As per the survey SME’s which are using a wide range of internet tools have high demand in their sales and ROI’s. SME’s who use the internet extensively have also got two time’s higher profits and export value when compared to offline businesses or SME’s. 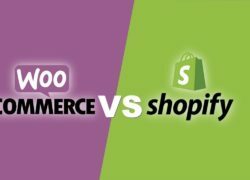 Impact of E-commerce on SME’s? If your business is offline then you are limited by the geographical reach, e-commerce provides businesses in conducting transaction globally by offering a platform to that can be accessed across the globe thereby increasing the growth in the revenue generation and sales as well. 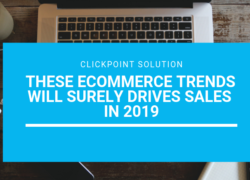 We all know that competition in e-commerce is increasing significantly, e-commerce players are spending heavily on all kind of marketing for improving site traffic, acquiring customers and relationships for improving sales. E-commerce reduces a cost associated with traditional marketing as well as all the cost which is spending on mediocre for certain process like distribution, franchisee etc. How SME’s come into E-commerce? Most of the SME’s or small business takes the help of the companies which offering total and complete e-commerce development services to start their business. There are many companies who provide solutions to start an online business in affordable pricing. These companies help SME’s to grow their business by giving them a platform for an online store which creates a milestone in their business. 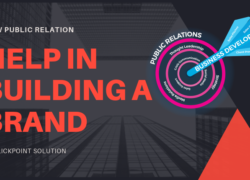 Besides the development of the online store, one must have to take care of the promotional activities which can help them to grow their customer base at a very high pace. Business or SME’s must opt for digital marketing services for the better outcome of your business. How much Investment Does anyone need to have their store online? E-commerce in India is gaining traction in very rapid pace. SME’s who are offline may realize that adopting e-commerce can cause more good then harming them. Technology and innovation bring positive change which can drastically improve the marketplace. On the contrary not having an online business or presenting your business through a poor website can seriously harm your business especially in consumer-centric sectors such as tourism, retail, hotel etc. E-commerce is not a passing trend but it is a marketing and business reality which can cause a huge harm who is taking it lightly. SME’s who remain oblivious or determined to ignore the online business may have to compete with the organizations that have capabilities far beyond theirs. Never the less, with the collaborative and proactive participation, SME’s will smoothly integrate into the eCommerce ecosystem and realize the benefits. This can overcome the issues for the SME’s who are a blog to a remote location and unable to reach their potential customers. So better to be the part of this ecosystem and contribute in the Indian economy by making your business online and by targeting your potential customers. In the Era of digitization where customer need preferences are changing very rapidly. That is why business should invest time in a majority of activities to fulfill customer needs. Apart from all these, one should have good managerial skills, a good understanding of the industry also. Web design agency can only help to get your website right but on other portions, you have to work on yourself. Better management and good reach out will lead to success.